Re: Ran online browser possible? this is possible..im UP for this!! Its possible to make this game in browser , but that thing would gonna have many limitations. it is not possible to convert the whole ran game engine into browser base games. imagine the textures. imagine external files ....it will take time to load all resources. you can use ran idea to implement new game in browser.. but it require a lot of effort and more advanced knowledge. someday somehow if browser evolve maybe we can but for now no we can't.. otherwise your game will be too lag and nobody wants to play. All things are possible, but it all depends on developers if they wanna pursue through that goal. 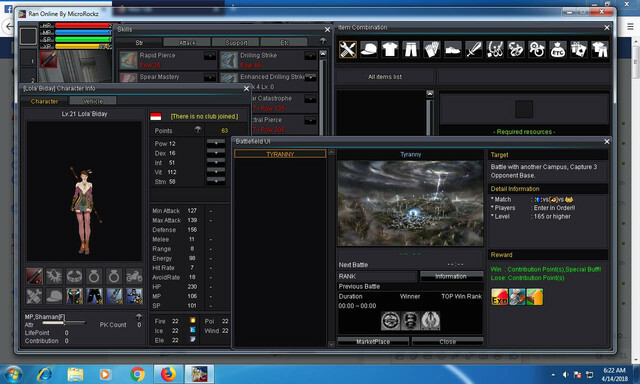 RAN Online is widely known as a Client-base MMORPG Game. Having a browser version is awesome, but not that worth it. If I have a power to do that, I'll not do it for browser, instead, go for mobile.